Since the death of Fred Rogers, who was my mentor and colleague for over 40 years, I work independently under the umbrella of Seldom Seen Productions and gather much of my previous work at this site as well. I am currently working a project called “South” which is an evolving series of documentaries and single channel video installations about the rural south in the USA. “South” addresses many personal concerns and interests of mine, including the cultural and geographic divisions that besiege our country. Although I have always lived in the urban northeast, my family, on my mother’s side, has its roots in rural Tennessee. The Mason Dixon Line runs straight through my heart. The most recent addition to “South” focuses on Jeff James who lives in Middle Tennessee where he trains and logs with mules in a way that is sustainable and, not coincidentally, elegant. See Jeff James: You’ve Got to Take Pride in What You Do under the heading “ South” on this web site. I continue my child development work via collaborations with Southwest Human Development in Phoenix, Arizona. Currently we are at work on a documentary about parents and children when they are discharged after lengthy hospital stays in Neonatal Intensive Care Units. Our previous work with SWHD included videos about reflective supervision for childcare workers, Finding the Words, Finding the Ways: Exploring Reflective Supervision and Facilitation. More on that under "Children & Mental Health." My husband, Joe Seamans, is my most frequent collaborator as photographer and, sometimes, as co-producer. 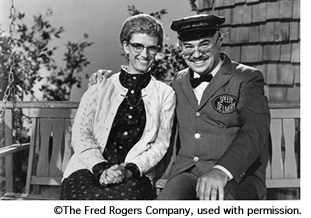 My film and television work began in 1972 when I became a scriptwriter with Fred Rogers at Mister Rogers’ Neighborhood, also making short films and playing the part of Mrs. McFeely for the program. 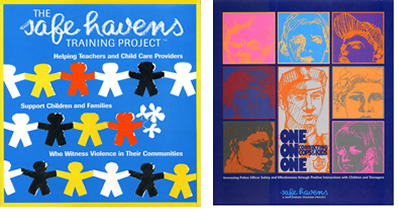 This led to documentary film projects for Fred’s two primetime series on PBS: Old Friends, New Friends and Fred Rogers’ Heroes and the creation of Safe Havens Training Project and One on One: Connecting Cops and Kids which were documentary-based training projects to help police officers and Head Start teachers respond to children exposed to violence. 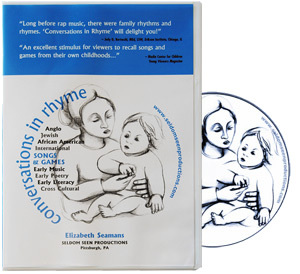 In 1977 I received a National Endowment for the Arts grant which made possible Conversations in Rhyme, a series of personal films about traditional American songs and games for children. One of those films, Kisha's Song, was acquired by the education departments of the National Gallery of Art in Washington D.C. and the Metropolitan Museum in New York. It is still screened in New York at the Museum of Modern Art's Family Film Series and it is also in extensive use in the child development community. The work on children's and family folk life also brought me to a gratifying relationship with the Department of American Folklife at the Smithsonian Institution for whom I made documentary videos about children’s folklife. Likewise the work on children and violence led to a long association with the Child Witness to Violence project at Boston Medical Center and South West Human Development in Phoenix. 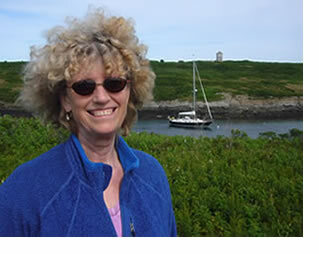 I received my Masters of Fine Arts in Writing at Lesley University in Cambridge, MA, and was Heinz Endowment fellow at the Virginia Center for the Creative Arts in 2007. I am a graduate of Wellesley High School in Wellesley, Massachusetts, was an editor of the Harvard Crimson, and received a Bachelors Degree with honors in Fine Arts from Harvard University in 1969. I was a reporter for the Boston Herald Traveler before moving to Pittsburgh to work with Fred Rogers. The constants in my work are simple: writing and filmmaking, children and child development, traditional life and storytelling. My husband, the photographer Joe Seamans, has been my collaborator for over forty years. Our son, Michael, is an artist and entrepreneur who owns a fine vinyl record shop in Pittsburgh, Mind Cure Records. We lost our daughter and Michael's sister, Annie, in an automobile accident in 1999 when she was 19. I am grateful to the designer, Sandrine Sheon at www.worldupsidedown.com for the creation of this web site.